The sheer simplicity of a voice-activated digital assistant can make it easy to underestimate the impact these emerging devices may have in senior living. Not a big deal: The resident asks, and a digital device reads off the day’s specials. But that simple interaction can have far-reaching implications. “It makes residents feel more comfortable, and a little more independent. They don’t have to worry that they may be forgetting something, and it removes the stigma of having to ask for help,” said Clint Fowler, resident services director with Seattle-based Leisure Care. Fowler has been introducing Alexa-driven devices across Leisure Care communities. He is one of a growing number of senior living organizations rolling out Alexa- and Siri-type voice-activated personal assistants in communities across the nation. Here we’ll consider some of the advantages of voice technology; look at best practices in implementation; and also explore some of the challenges that may arise when introducing voice assistants into a senior living community. With the rise of affordable devices like the Amazon Dot, consumers have shown a ready interest in voice-driven digital assistants. Analyst firm Zion Market Research predicts the speech and voice recognition market will top $22.3 billion by 2024. In the realm of senior care, experts see a range of potential uses for voice assistants. Those with dexterity issues or vision impairment can benefit from the voice interface. It’s easier to speak a request than to dial a phone or read a printed schedule. The technology can also work in support of memory care. “Assistants can remind you of birthdays, even suggesting age-appropriate presents,” an AARP resource notes. Voice has the advantage of being a natural and intuitive form of interaction for most people. That makes it a good fit for seniors: A technology iteration that feels familiar right from the start. “As much as we like to say that everyone is computer literate, at the end of the day we find that the best way for seniors to interact is by voice,” said Bruce Baron, CEO of VoiceFriend, whose Alexa-enabled technology has been implemented by a number of senior housing companies. “There are dexterity challenges and vision challenges that many seniors have that limit their ability to interact with the computer or to do things like texting. When they can use their voice, it simplifies things greatly. They get an immediate response and they can always ask multiple times if they have trouble with comprehension or cognition,” he said. That’s the promise of voice technology, but the new assistants come with their own challenges, too. It takes planning and forethought to successfully execute this sort of technology in senior living. To see how it’s done, we checked in with a number of providers who have made early forays in the space. The Arbor Company has begun deploying Amazon’s Echo Dot devices in some of its common areas, viewing the devices as a potentially powerful new communication channel. “Residents can go up to one of these devices and it will tell them what is happening for the day. 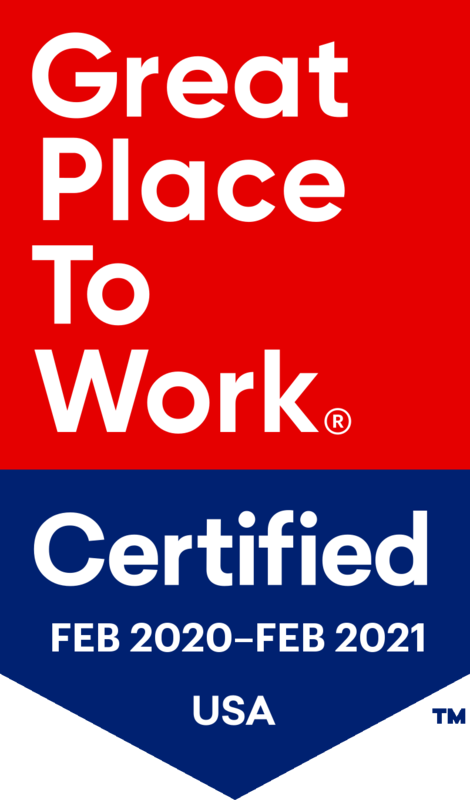 It tells them about the next activity, with a little description, and it speaks the calendar for the rest of the day,” said Laura Ellen Christian, The Arbor Company’s senior vice president of engagement and training. Of course, there are other ways for residents to get this information. Pick up a schedule (printed daily); check the scrolling information on one of the publicly available screens; or just ask a staff person. So what does voice offer? One more option. Executives at Civitas Senior Living are likewise positioning their initial voice rollout as being primarily a resident amenity. “Calendars felt old, so we moved up to computer monitors with scrolling information. 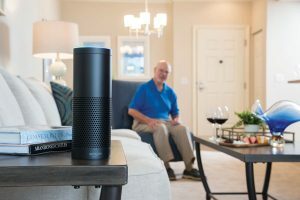 Voice feels like just the next evolution in that process,” said Civitas president Cooper Vittitow, who has helped oversee an Alexa deployment across all 121 apartments in the company’s Park Creek Independent Living community in Cypress, Texas. More than just a resident amenity, voice may also deliver a range of practical benefits in terms of operational efficiency and resident quality of life. A SantaFe Senior Living model smart apartment includes an Alexa-powered assistant. Voice assistants can improve staff productivity by answering the most commonly asked questions: What are today’s activities? What’s on the menu tonight? “This can free up all that administrative time for our program directors, so they can spend more time on the floor, and in turn we will have better programs,” Fowler said. Voice assistants won’t take the place of all human interactions: Residents should and will continue to bring their questions to the desk. That’s a valuable social moment for many. But by reducing the number of purely informational queries, this technology could free up staff time for higher uses. Voice could also serve as a catalyst for enhanced social interactions among residents. At Benchmark, for example, executives are considering deploying Google Home’s voice-driven services, partly for this reason. Others are looking to voice as a potential boon to resident safety. The Village at Gainesville (Fla.), a 670-resident SantaFe Senior Living community, recently unveiled a model “smart apartment,” which includes among its technology upgrades an Alexa-powered assistant. Residents can opt for the smart package as one of their move-in options. The voice assistant could be trained to recognize key phrases: “I’ve fallen,” or “I need help,” or simply “Alexa, help!” Such communications would trigger an alert and bring staff to the scene. Besides offering a backup to existing safety systems, the presence of a voice-activated alert might offer added reassurance to residents and their adult children. Those senior housing organizations who have tinkered with voice assistants clearly see significant potential in this emerging capability. As with any new technology, though, the deployment of voice in senior living will come with its own unique challenges. The first thing senior living executives will want to know about voice assistants: Will residents even use them? Seniors are not famous for their warm embrace of new gizmos, and some may find an always-listening device to have shades of Big Brother to it. 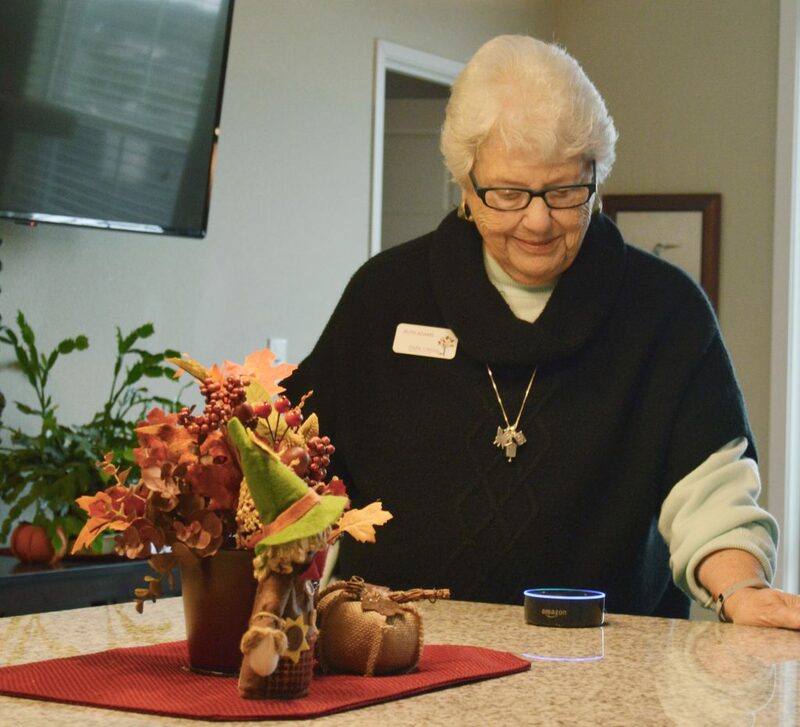 A resident at Park Creek Independent Living, a Civitas community, engages with an Amazon Echo Dot. Most early adopters have learned that they can ease uptake with a cheat sheet, a laminated card illustrating many of the basic questions a user might wish to ask. Some also use the initial rollout as a way to spur resident engagement. Take for instance Front Porch Center for Innovation & Wellbeing, the R&D arm of Front Porch. Leaders there piloted an Alexa deployment in a San Diego community, and have since rolled it out to five other communities. Front Porch also takes the time up front to make the voice device personal, as a way to encourage resident adoption. At Benchmark, Elalamy has learned that a successful voice deployment also depends a lot on how you make the pitch. What Alexa can do for them—at least in the most obvious sense—is tell them what’s for dinner. But who’s going to tell Alexa? 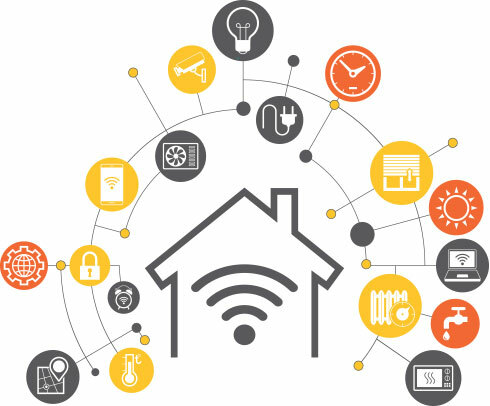 Executives who’ve gotten over the first hurdle, resident acceptance, will likely turn their attentions next to the finer technological points. How, exactly, does a voice deployment get done? Read the full article in Senior Living Executive magazine.